Palm made of Premium Goatskin Leather with reinforcement palm and Foam Padding for more durability and Excellent Grip. Cotton crochets Mesh in German Flag Style on Back . 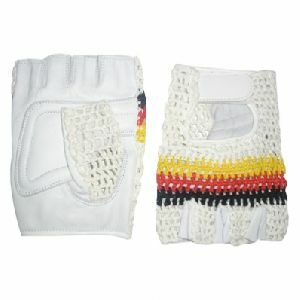 We use best quality of leather or flexible abrasion resistant for Cycle Gloves / Bike Gloves. Back Mesh which gives a superb comfort fit and enhance grip and snug fit.